Sat : 11.00 am to 10.00 pm. Sun : 10.00 am to 9.00 pm. White Sands is a shopping mall in Pasir Ris located next to the Pasir RIs MRT station and the Pasir Ris Bus Interchange. Visit http://www.whitesands.com.sg/stores/ to find out! It houses plenty of food establishments and has 1 basement level + 5 levels of retail that includes the Pasir Ris Public Library, an NTUC Fairprice supermarket, clinics, Singapore Post, education centres and banks. This mall is especially crowded on weekends as it serves the residents of Pasir Ris, as well as Full Time National Servicemen, their families and friends. (The Pasir Ris Bus Interchange serves as a pick-up/drop-off point for the bus shuttles to the ferry to Pulau Tekong). 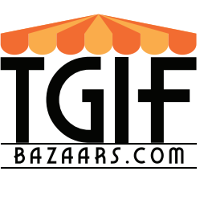 TGIF Bazaars is pleased to be working in partnership with Asia Malls to put together a bi-monthly outdoor weekend flea market, and we hope to make the place even more happening! Located under the covered walkway around the mall, the weekend crowd is mostly locals, comprising of families. 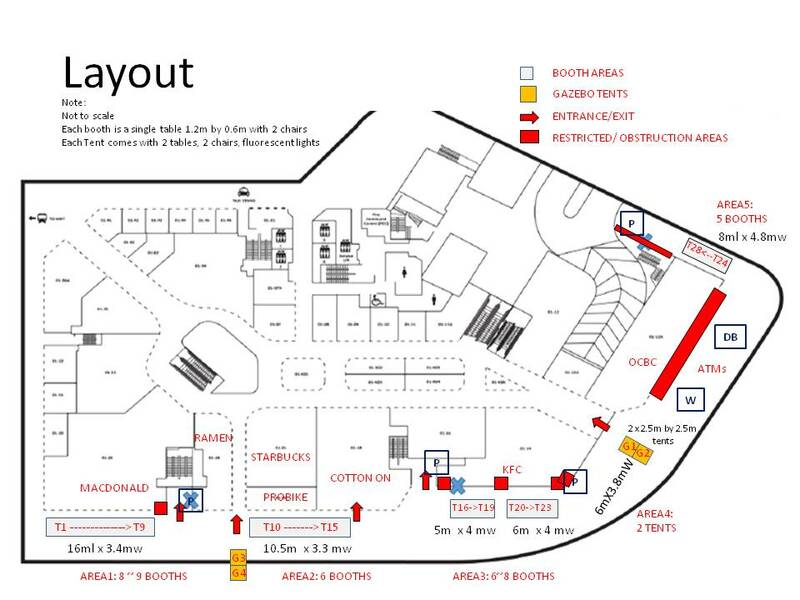 Kindly start to pack up your merchandise by 9 pm on Sunday as we need to tear down our tents by 10.30pm. Although this is a lightly curated flea market, all merchandise and services are subject to acceptance by the organizer and venue owner. Fashion apparels and ladies beauty products. If you are unsure about your product please submit your product images for clearance. Each basic booth is 1 table (2' by 4') and 2 chair, shared power point (for laptop, mobile phone charging, cashier machine and LED lights). Strictly no electrical appliances such as iron, steamers, boilers). Each tented booth is 1 united of 2.5m by 2.5m tent, 2 tables (2' by 4') and 2 chairs, florescent lighting, 1 power point (not for heavy usage), 4 canvas sheets. There are only two tented booths available. Do bring your own table lamps to help brighten your booths! No single or partial day booking is available for this bazaar - we accept only bookings made for the entire 2 days (Sat - Sun) for each edition. Unique Pre-packed Food and Beverage items may be allowed for sale at this venue, subject to approval. Upon payment receipt of the booth, the organizer will assign the booth to each vendor based on our own discretion, to our best effort.. All rights reserved. The event is slated to continue, rain or shine. No refund will be given for bad weather. Merchants are encouraged to equip themselves with plastic sheets to counter bad weather. ​All merchants are advised to bring along a black cloth to cover your merchandise if you wish to leave them overnight at the venue. ​(Overnight storage is permitted BUT NOT encouraged. The venue and organizer shall not be liable for any product loss or damage). No night watchman services are available for this venue. You agree to indemnify the Organiser and the venue for any loss or caused to their property and / or injury to their employees arising out of your (including your employees, agents or representatives) negligence. Any littering or illegal disposal of waste is strictly prohibited and offenders are liable to pay a fine or face ban from future participation at the bazaar. No smoking in our booths - there are designated areas nearby. All merchants are advised to make your booths as aesthetically pleasing as possible during operations hours. TGIF Bazaars and Asia Malls reserve the rights to make changes and amendments to all terms and conditions without prior notice. ​Sat : 11.00 am to 10.00 pm. ​Check out our FAQs group on Facebook. Feel free to post your questions there.